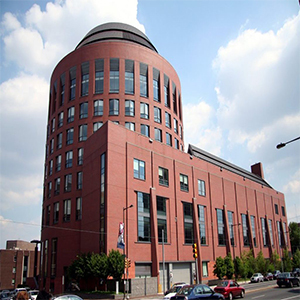 Knowledge@Wharton High School (KWHS), a member of the Knowledge@Wharton global network, part of the Wharton School of the University of Pennsylvania, is accepting applications for its upcoming summer program, the KWHS Global Young Leaders Academy (GYLA). KWHS promotes financial and business literacy, entrepreneurship and leadership among high school students and educators around the world. The KWHS Global Young Leaders Academy will conduct fivesessions in 2019. High school students aged 15-18 years are eligible to apply through BrainGain Magazine, a leading study-abroad online portal that is collaborating with KWHS on this program. GYLA provides a deeper understanding of entrepreneurship, business and personal finance and equips students with the skills to excel in the global marketplace. The program includes a session on U.S. college admissionsto help students understand the experience of applying to American colleges and universities. The participants also get a chance to be a part of a community-service project and receive a certificate that recognizes their volunteer hours; visit cultural centers; participate in social activities; and have a fun-filled outing to Six Flags Great Adventure amusement park. Additionally, students receive a certificate from Knowledge@Wharton High School upon successful completion of the program. Past participants have described GYLA as an “eye-opening experience;” “enriching and a must-do;” and one that prepares them to “function independently,” providing “insight into college life” in the U.S.; and an opportunity for “meeting people from different countries.” The two-week program costs $5115per student, including tuition, ground transportation, medical-insurance coverage during the program, lodging and boarding. The program fee does not include international travel costs, international travel insurance and visa costs. The KWHS Global Young Leaders Academy is a unique opportunity for high school students to experience introductory business and finance education.